New Hampshire is one of the most idyllic areas of the US, overflowing with outstanding natural beauty. There is a variety of ski resorts in the area, including the enormous Black Mountain, Bretton Woods, Cannon Mountain and the Cranmore Mountain Resort. Along with the exceptional array of alpine resorts, there is a wide selection of cross-country options across the splendid local landscape. The atmosphere here is one of a kind and provides extraordinary options for travellers wanting to enjoy winter sports in a truly resplendent environment. Across New Hampshire’s ski area, there are runs to suit all kinds of skiers, ranging from beginners to experts. Pat’s Peak and Mount Sunapee are two of the local favourites for residents and they are both easily accessible from Southern New England. In the northern areas of New Hampshire, terrain parks are particularly popular, with Cannon Mountain and Bretton Woods both offering stunning runs that will help visitors to work on their existing skills. The season generally here runs from November to April, though this may vary with some resorts. Many also have snow-making facilities, which help to ensure that coverage is reliable for visitors. 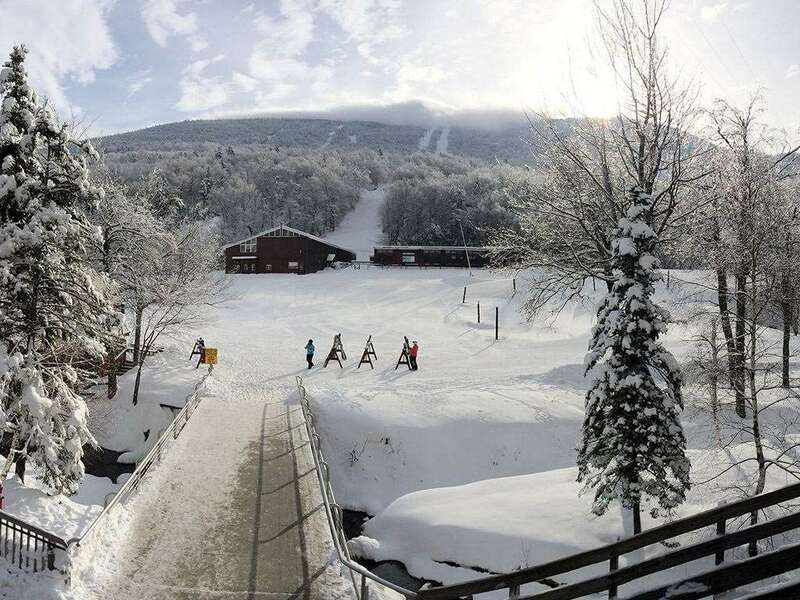 Bretton Woods is the biggest ski area in New Hampshire and has 464 acres of skiable terrain, making it a great place to start for skiers and snowboarders who want to familiarise themselves with the region. Another great option for tourists is Loon Mountain, which is based in the breathtaking White Mountain National Forest of New Hampshire. It is well-regarded as a leading family destination and boasts amazing scenery and excellent snow coverage. Choosing a resort is perhaps the hardest part about skiing in New Hampshire, with such a magnificent array of routes to choose from. New Hampshire’s ski areas have a glowing reputation for fantastic apres ski, with a variety of restaurants, clubs and pubs available to explore. In such a spectacular landscape, walking trails are perhaps the most attractive activity for visitors. With beautiful mountain ranges, gorgeous forests, peaceful lakes and the breathtaking Atlantic coast all visible, the area makes for some exceptional photo opportunities. Shoppers will also not be left out in New Hampshire, with the Merrimack Premium Outlets and Settler’s Green Outlet Village both located nearby, offering some amazing bargains. Contact the Iglu Ski team on the phone number above for expert advice and deals for ski holidays in New Hampshire.